Fears in Dogs: Thunderstorms, Fireworks, Windy Nights, Oh My! 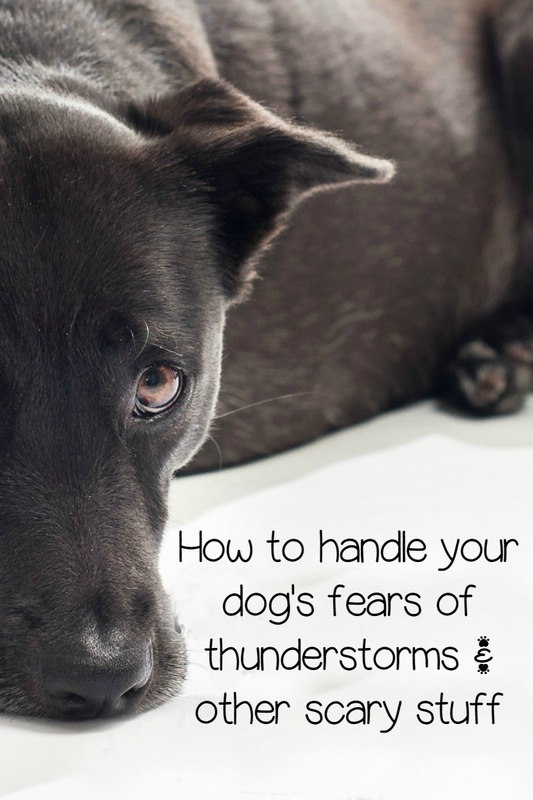 Does your dog react to thunderstorms with uncontrollable shaking and panting and probably pacing? What about fireworks? I know my dogs have always been terrified of thunderstorms and fireworks and anything that sounds like a gunshot (we used to live near the woods). It is awful to feel like you can not help calm them. What can you do to help calm fears in dogs? Have you ever heard of the Thundershirt? It is a miracle little coat that hugs your dog and instantly calms him during those terrible times such as a thunderstorm. I have not used one myself, but I know people who have and they swear by it now! It fits snuggly around your dog and makes them feel safe. 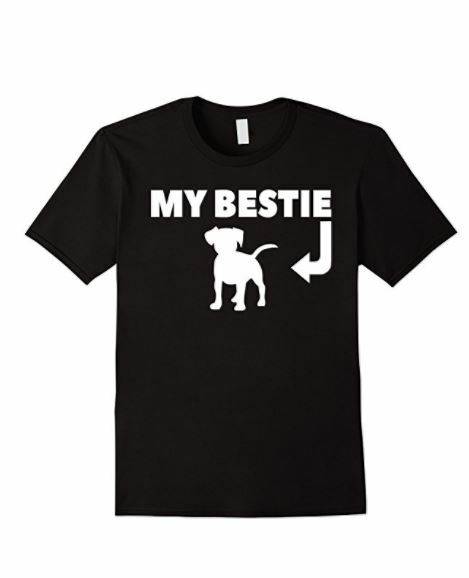 It has been known to help with other situations as well such as air travel, vet visits, crate anxiety, and car travel. Think about how you might hold your child tight when they are scared, this has the same effect, only you do not have to be holding your 80 pound dog on your lap! It works great for calming fears in dogs! Related: Does the Thundershirt Really Relieve Anxiety in Dogs? If you come home from work and find it quite possibly may have been hit with a tornado, and it was just your four legged friend, you may have separation anxiety issues on your hands, or boredom. First of all if you are not crating him, try that first. He can’t be wreaking havoc on your home when you are not there. Second, crate him and try a Thundershirt. If I had a dog with anxiety issues, I would purchase one simply based on the reviews from family and friends who use it. Like swaddling a fussy baby seems to be magic, the Thundershirt seems to be magic for dogs. You can also bring your dog to the vet, if you choose. However, whatever medication he might give you for anxiety is only temporary. This might be something that is difficult to manage if your dog is only skittish during thunderstorms and other temporary stimulants like fire works. Medication often needs a little time to work. For example, if your pet was having anxiety issues when you leave for work, you might think about using medication in conjunction with behavior training. If you are a pet parent to a dog who has a hard time when it thunders or during Fourth of July celebrations with fireworks, how have you handled it? What other sort of things is your dog afraid of that makes him pace and pant? If so give us your opinion! Share your skittish stories of fears in dogs with us in the comments section below!